The lawsuit by Christine Kirk and others against Bruce Rauner, his former private equity firm and several of its partners had lain dormant for six years, but it contained politically damaging accusations against the Republican governor-to-be. Rauner and his co-defendants settled the lawsuit from his handpicked ex-CEO for $511,000 in 2008 after a judge dismissed the majority of counts in the case built around the demise of a business-outsourcing firm once known as LeapSource. For an investigative piece that was printed in the Sun-Times and aired on NBC5 simultaneously, broadcast colleagues Carol Marin and Don Moseley and I spent close to a month poring through court documents and doing interviews about the lawsuit, which gave a firsthand look into Rauner's business philosophy. Rauner strenuously denied the allegations contained in the lawsuit. But the court case provided an unusual window into his actions while under the stress of immense financial pressures, his attitude toward claims of a hostile work environment and the tactics he allegedly employed when it appeared certain that Kirk intended to sue to challenge the start-up’s dismantling. 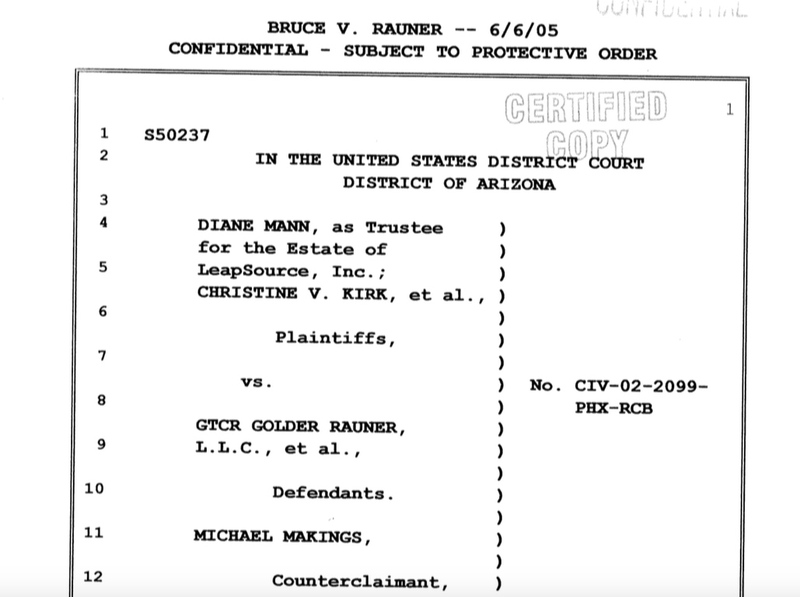 Kirk alleged in the lawsuit that Rauner, a member of the board of directors at LeapSource, threatened her personally and through a LeapSource board member — a claim she made in a sworn deposition. That former LeapSource board member confirmed in a deposition that “threatening things…were said to her” and that he had been involved in some of those conversations. The lawsuit alleged that Rauner told Kirk in February 2001: “If you go legal on us, we’ll hurt you and your family.” Rauner denied making that statement. Former Gov. Pat Quinn attacked Rauner on the stump and in TV commercials for his alleged conduct in the LeapSource case. But Rauner's campaign rebuffed Quinn's criticism, and voters weren't swayed by it.